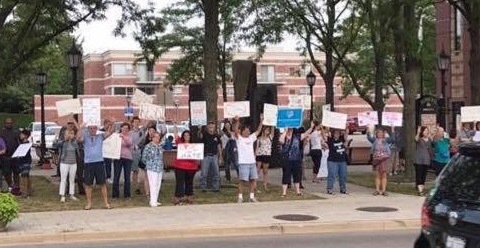 ELMHURST – Dozens of participants were unscathed and numerous bystanders were left feeling unsatisfied at the lack of turmoil during a rally outside of City Hall on Sunday, the first large-scale demonstration of its kind on Elmhurst soil since the failed “March for North Elmhurst Sidewalks” in 1978. Marred by poorly-constructed signage, novice marching skills and the absence of a memorable chant, approximately 40 local members of the progressive group Action for a Better Tomorrow (ABT) were left mostly unchallenged as they paid vigil to Charlottesville, VA, victims with a peaceful gathering that was highlighted by participants waving their handmade signs and imploring drivers to honk their car horns. On the heels of a smaller vigil held at the same location the night before, local ABT members covertly organized “Operation: Spontaneous Gathering” within their maximum security Facebook Group with the intent of showing that Elmhurst cares about the national tragedy that unfolded over the weekend. While a police presence was limited to the appearance of one parking enforcement officer who drove by the scene and subsequently ticketed four vehicles in the City Hall parking lot for expired city stickers, things became tense for a short period of time when nearly all 57 residents of Elmhurst 255 Downtown Apartments wandered out of the building and walked down the street to see what was going on. At press time, customers and employees inside of Rainbow Restaurant were seen hiding on the floor in fear after rally participants began marching over to the diner for a late meal following the conclusion of the rally. ELMHURST – Record-breaking weather unleashed by Mother Nature this weekend upon the unsuspecting and unprepared residents of Elmhurst wreaked havoc throughout town on Friday, Saturday, and Sunday as citizens and businesses struggled with unseasonably warm temperatures, bright sunshine, and a city-wide epidemic of “Spring Fever” in the middle of February. 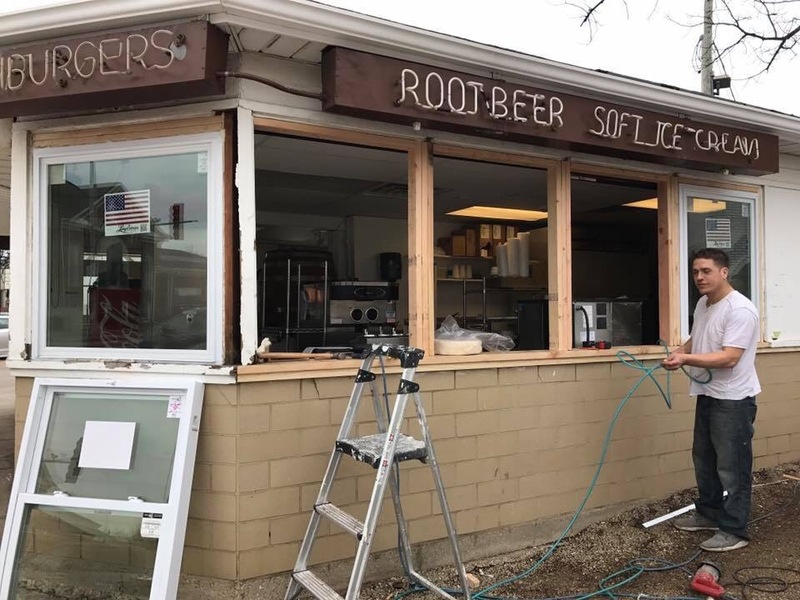 Hundreds of potential customers were reportedly left feeling hungry and frustrated at Hamburger Heaven on Friday afternoon, as window replacement activity outside the legendary food stand known for burgers, root beer, and speeding 80,000-pound semi-trailer trucks whizzing by within arm’s length of the pick-up window inadvertently gave passersby the impression that it was open for business. On the city’s west side, resident Brenda Rose told reporters on Saturday that she was still recovering from a terrifying event at her home that took place earlier that morning, where she struggled for more than 20 minutes to locate her son’s lightweight North Face Mack Mays Full Zip Hoodie, which was lost in a sea of winter North Face Triclimate jackets, North Face Himalayan parkas and North Face Thermoball vests hanging in his walk-in closet. Rose was further distraught after learning that two of her three children had already stepped in dog feces within ten minutes of playing in the family’s River Glen Avenue backyard. Along the Prairie Path, drivers and path users reported a temporary loss of vision on both Saturday and Sunday as bicyclists, walkers, and joggers blinded each other throughout the day with their winter-white legs. Victims were treated with water and shade and were later released to continue their activities. On Sunday evening, Bryan Street homeowner Tony Guidry summed up the mayhem in Elmhurst caused by three consecutive days of sunshine and temperatures in the mid-60’s. According to the National Weather Service, the high temperature in Elmhurst is expected to be 66 degrees both Monday and Tuesday.